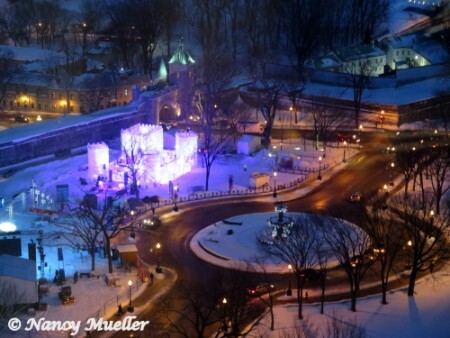 Beat the Winter Blues at Québec Winter Carnival! If you can’t beat winter, why not embrace it? That’s the philosophy behind the Québec Winter Carnival, celebrating its 60th anniversary in 2014. A good and wise man it turns out. 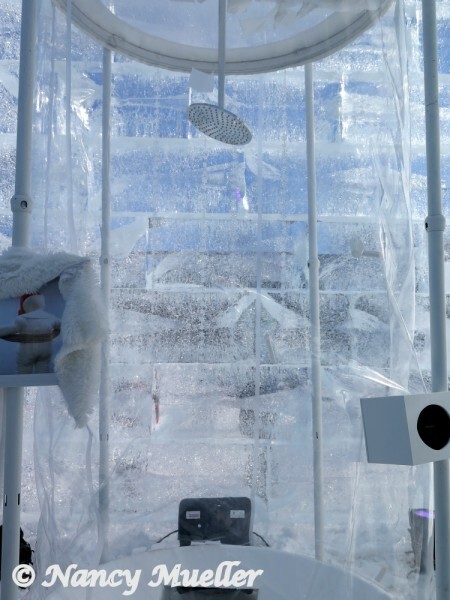 and what he does for fun inside the 40 foot tall structure constructed from 300 tons of ice. 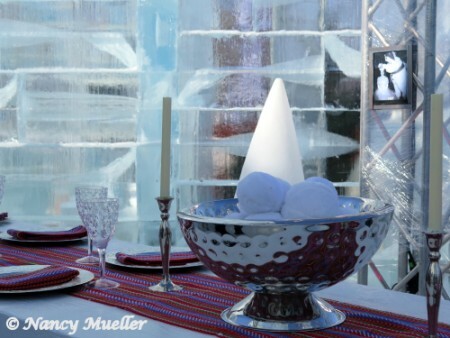 Here guests can walk through his living and sleeping areas, including the kitchen and dining room, plus view photos taken with famous celebrities from past Winter Carnivals. 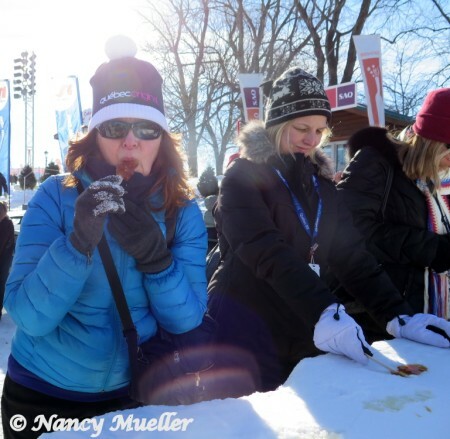 What’s not to love about a taffy stick treat made with boiling maple syrup and clean snow? After the syrup is poured onto the snow, we let it cool briefly before pressing the stick in the syrup. Rolling the maple syrup around our sticks, voila! We have a tasty taffy snack to go. Winter Carnival expands to eight neighborhood streets in addition to the main site on the Plains of Abraham in 2014. 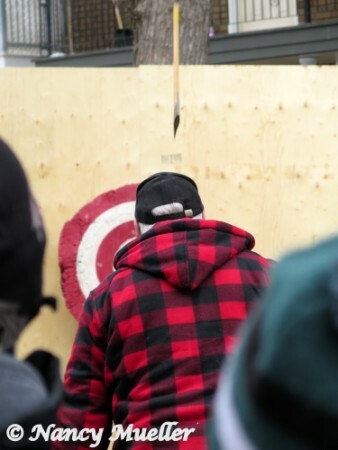 Happenings include street performers, lumberjack ax throwing and curling demonstrations that add to the Carnival atmosphere throughout the city. Wondering how you can join the fun? Purchase a Carnival Effigy (small, plastic Bonhomme figure which you can attach to your outerwear) for $15.00 (or $45.00 for a family of four) as your passport to 17 days of Winter Carnival activities. Such a deal! 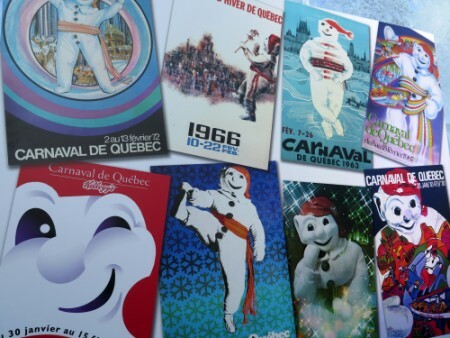 For further information, be sure to check the official Carnaval de Québec website. 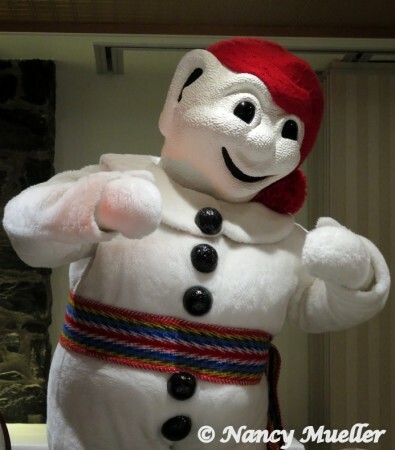 Thanks to Bonhomme and sponsors Tourisme Québec and Québec City Tourism for showing me how to have fun and stay warm this winter. Keep on moving and dancing, Wanderboomers! 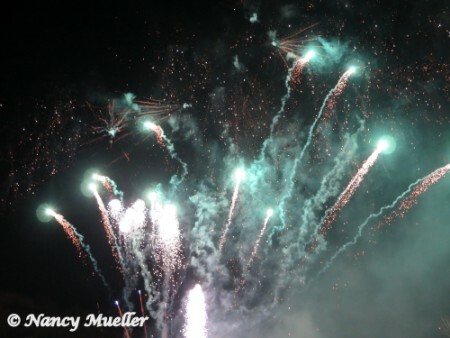 What’s your favorite Winter Festival, wanderboomers? My daughter was just invited to act as interpreter on a friend’s trip to Quebec. It sounds lovely. Sadly, they’ll miss Winter Carnival but I’m sure they’ll find plenty to do, dog sledding and shoe shoeing is high on their list of things to try. Hi Nancy! Lovely post! It’s been many years since I’ve been to the Qc winter carnival but never a winter goes by without my fix of maple snow taffy! 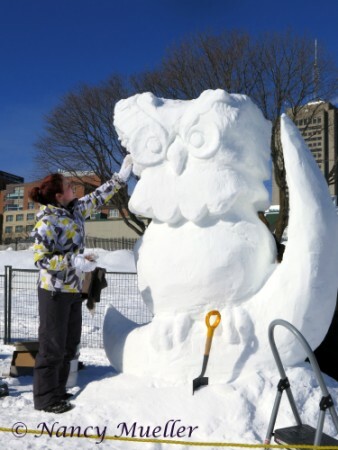 Let me know when you need a post on Ottawa’s Winterlude festival! The only good thing that has come out of this crazy winter, is the amazing skating conditions on the Rideau canal!! Thanks, Astra! 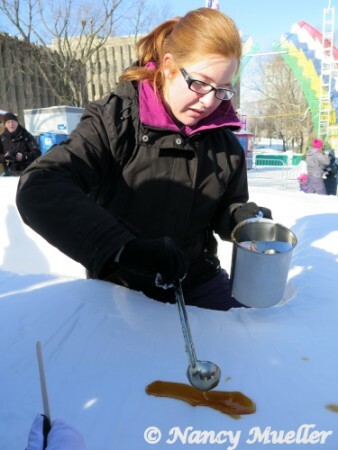 I’d never heard of maple snow taffy before attending the Quebec Winter Carnival – which is probably a good thing because I would have wanted some every day :-). 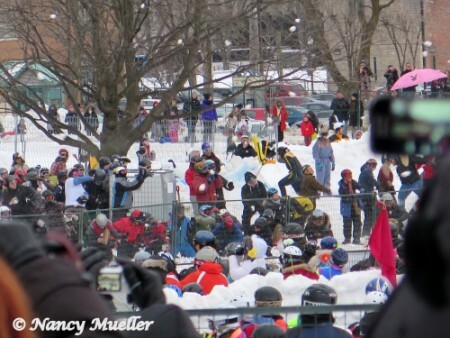 I so enjoyed how the Quebecois totally embrace Winter with this fun event. Sounds like you do the same in Ottawa! What’s your favorite Winter activity (not counting eating maple snow taffy)?